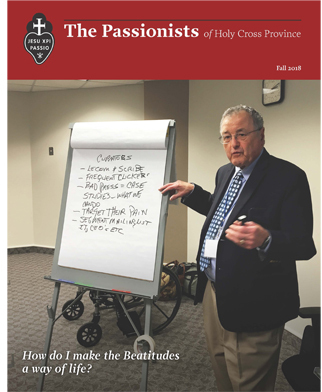 The latest issue of our Passionist Magazine is now available online! Error: Error validating access token: Session has expired on Monday, 18-Mar-19 14:16:37 PDT. The current time is Thursday, 18-Apr-19 17:27:21 PDT.